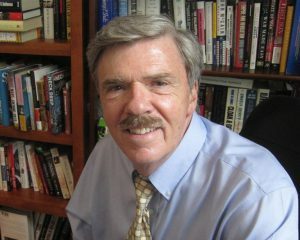 Robert Parry, a tenacious investigative reporter and author who exposed details of the Reagan administration’s secret support for Nicaraguan rebels in the 1980s, died on Saturday in Arlington, Va. He was 68. The cause was pancreatic cancer, said his wife, Diane Duston. Mr. Parry won the George Polk Award for national reporting in 1984 for his disclosures that the Central Intelligence Agency had provided an assassination manual to the so-called contras, the right-wing insurgents who were seeking to topple the socialist government in Nicaragua. Mr. Parry was part of an Associated Press investigative team based in Washington when he broke the story. For that reporting, he was also named a finalist for the 1985 Pulitzer Prize for national reporting. In 1985, Mr. Parry broke news of the involvement of Lt. Col. Oliver L. North, a deputy director of the National Security Council, in a covert operation to support the contras with proceeds from clandestine arms sales to Iran. Congress had banned such support. The weapons had been sold to Iran to speed the release of American hostages in Lebanon.